I type with one finger and I'd be lost without Sticky Keys. 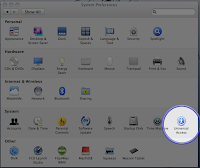 It was the first and really essential shortcut I embraced. I use Sticky Keys in place of caps lock to capitalize characters. 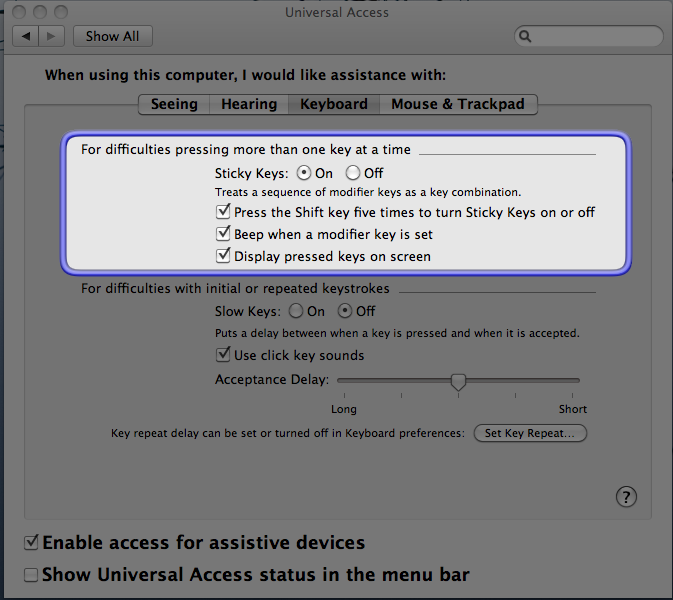 Additionally, it lets me depress a modifier key (Shift, Ctrl, Alt) or a command key (Windows or Apple key) and it remains active until the next key is pressed. Step 1: Find the accessibility options in your control panel (picture upper-right shows the Universal Access options in the Mac OSX control panel). 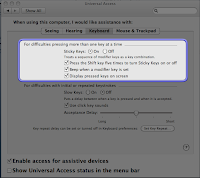 Step 2: Configure Sticky Keys to suit your needs via the Keyboard tab. For more information, see the Sticky Keys article in Wikipedia or this video by Dave Andrews in YouTube.